We were up early for our last room service breakfast at Hotel El Ganzo. I hadn’t expected to be continuing my trip in a wheelchair, but an accident had left me resting a dislocated toe, torn ligament and deep cut a bit longer. I was in Los Cabos, though, and determined not to let the injury keep me from enjoying it – especially since my friend Lynn and I were heading to one of the most acclaimed resorts in Mexico, Capella Pedregal. I had heard so much about this hotel and had actually been trying for two years to plan a trip there. As much as I had looked forward to the other two hotels in Los Cabos, it was this one I had been waiting for. The excitement began before we arrived as the driver took us through the private tunnel in the mountain that leads to the grand entrance at Capella Pedregal. We were a bit disappointed that it was raining, but since the weather had been beautiful all week (and looked to be again), we didn’t let it ruin our mood. 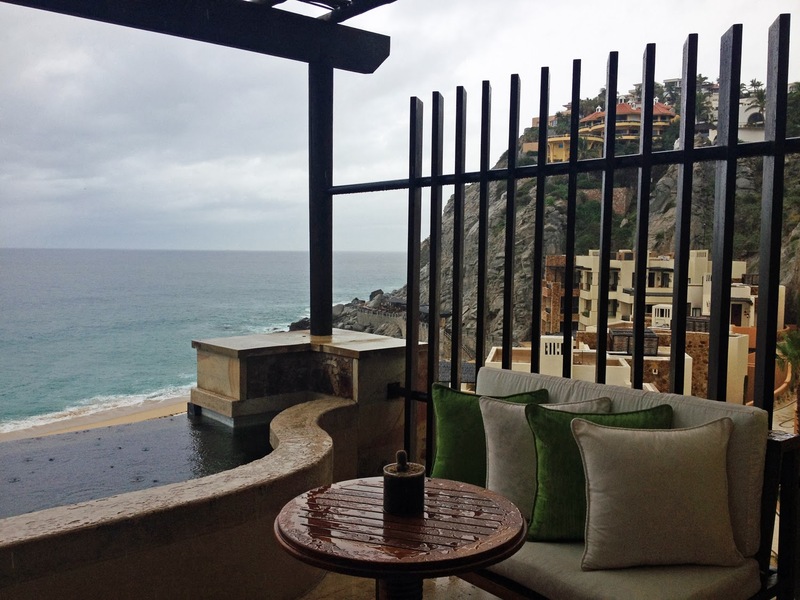 Adriana Silva, Public Relation Coordinator at Capella Pedregal, was there to greet us when we arrived and quickly made some changes to our plan to fit the current circumstances. Since it didn’t look like it would be much of a beach day, our spa appointments were moved to earlier. And, since I was wheelchair bound for at least another day and a large accessible suite was not available, we were each given our own rooms. 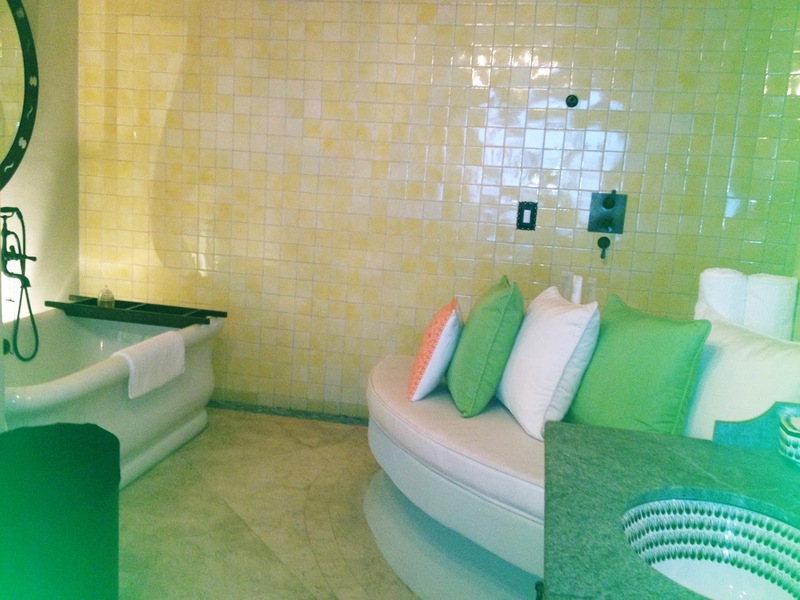 Each room was just incredible, with a huge bathroom that had a separate tub, a shower and even a couch! I also had a loveseat and infinity plunge pool on my balcony, which provided breathtaking views of the ocean and mountains. The refrigerator was stocked with bottled water and juice, while a bottle of Jose Cuervo Tequila was waiting for all guests. The manager had also sent a fruit, cheese and chocolate plate with a bottle of wine. Lynn’s spa appointment was first and since I was not able to get my foot wet and enjoy the sauna, steam room and whirlpool facilities at Auriga Spa, I went ahead and had some lunch at the Beach Club Restaurant. 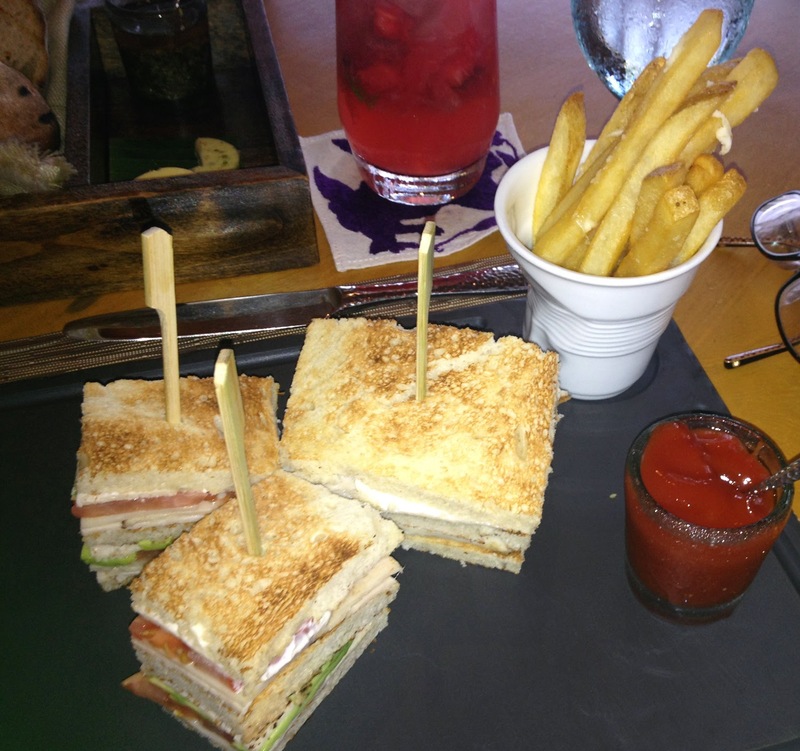 The club sandwich was good and the Truffle Fries heavenly. It was there I also got my first taste of Capella’s Watermelon Mojito. After lunch, I headed to the spa. I was greeted with a cup of tea and led to the locker room to change before my welcome cleansing foot bath ritual. It is something everyone has before their treatment, using local herbs and a special beverage that is changed to be in harmony with the current phase of the moon. I was then led to my pod jutting out on the water for a peaceful atmosphere to have the most heavenly one hour massage. I was more relaxed than I had been in months. 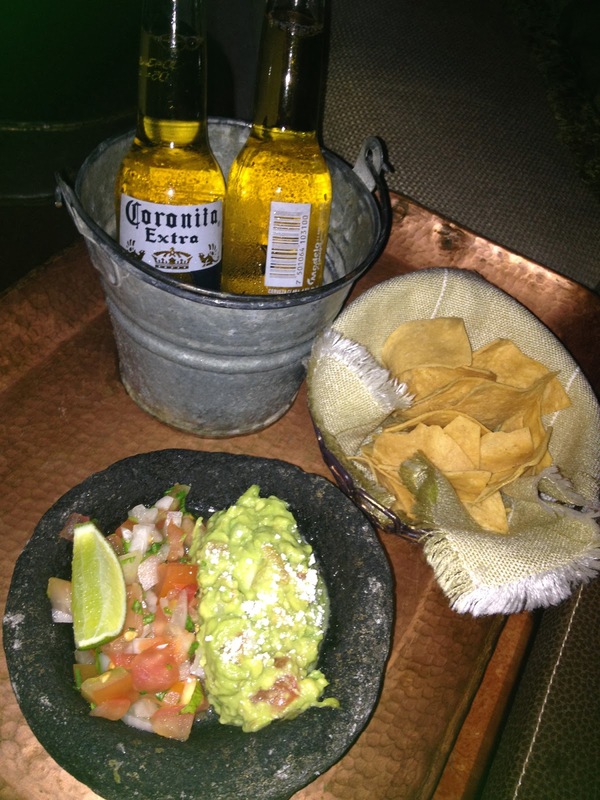 When I got back to my room I found what is a daily afternoon treat at Capella Pedregal, chips, guacamole and Corona Beer. I tried not to eat too much because I knew there was a big meal planned for the evening. We had dinner at Don Manuel’s with Shirley Dunn Hanks, Director of Sales and Marketing, and Adriana Silva. They had made a special menu just for us, taking into account that Lynn and I both had seafood allergies. 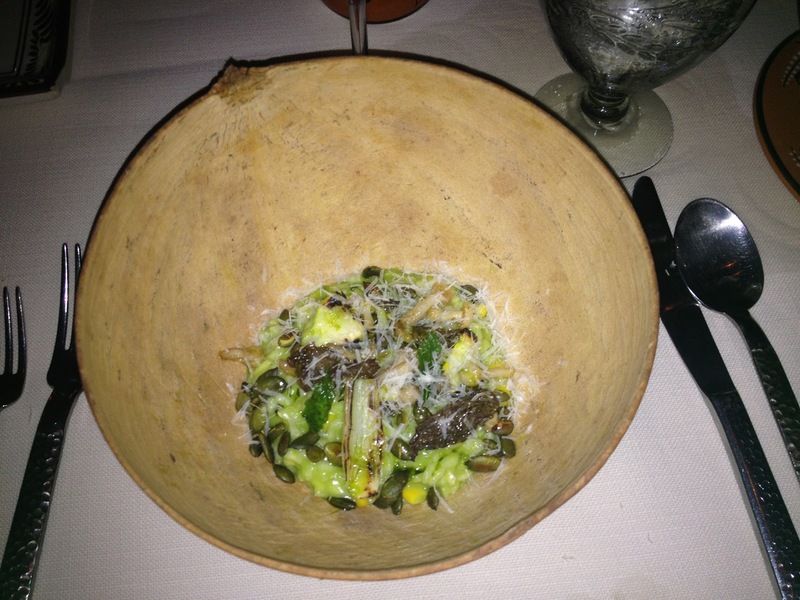 The Poblano Risotto with pumpkin seeds, corn and wild mushrooms covered in smoked parmesan was a great appetizer and a lot more filling than I expected. 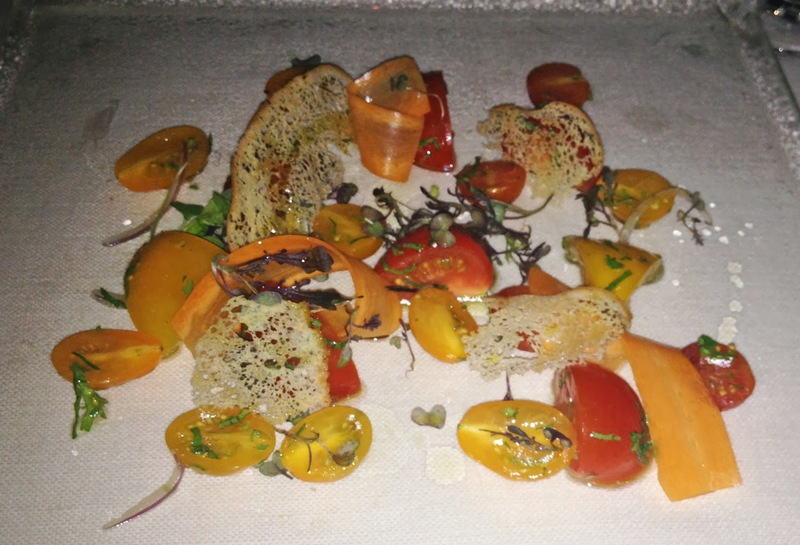 The Heirloom Salad was also fresh and colorful with avocado and carrot with toasted fennel seeds. 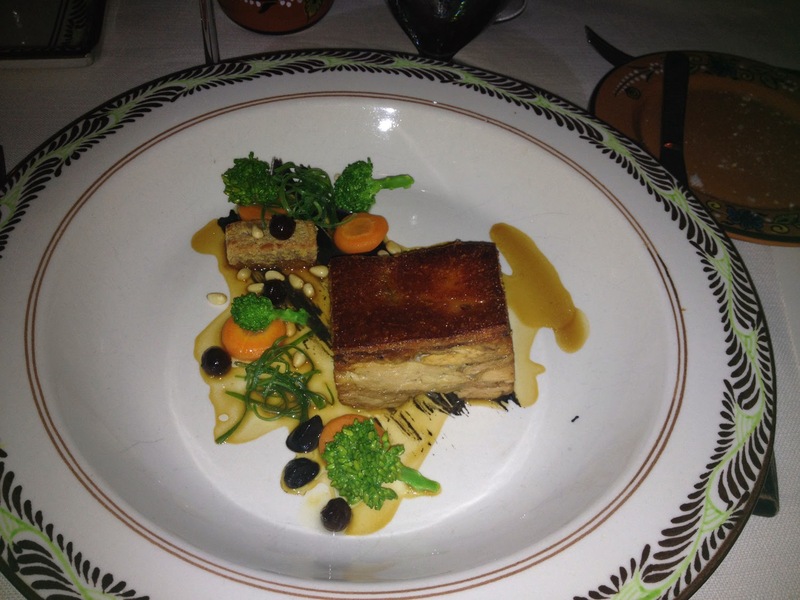 The main courses all sounded wonderful. I really enjoyed the Crispy Suckling Pig with peanut marzipan and black sesame puree while Lynn made a good choice with the Short Ribs Barbacoa style. 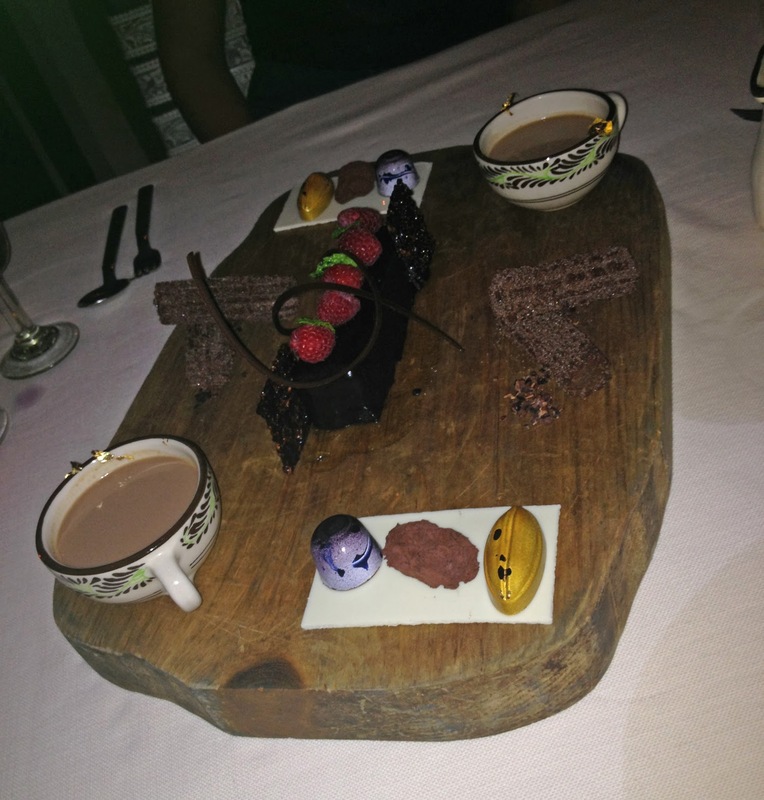 The Cinnamon Meringue dessert was light and flavorful, but Estudio de Chocolate (Study of Chocolate) was a delicious selection of one of my favorite food items. 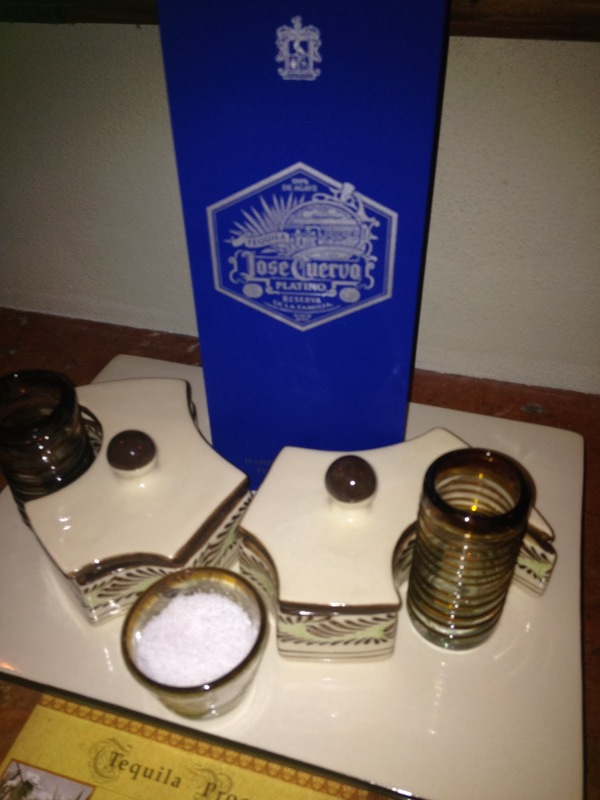 We finished up the evening toasting with Jose Cuervo’s Special Reserve Tequila. 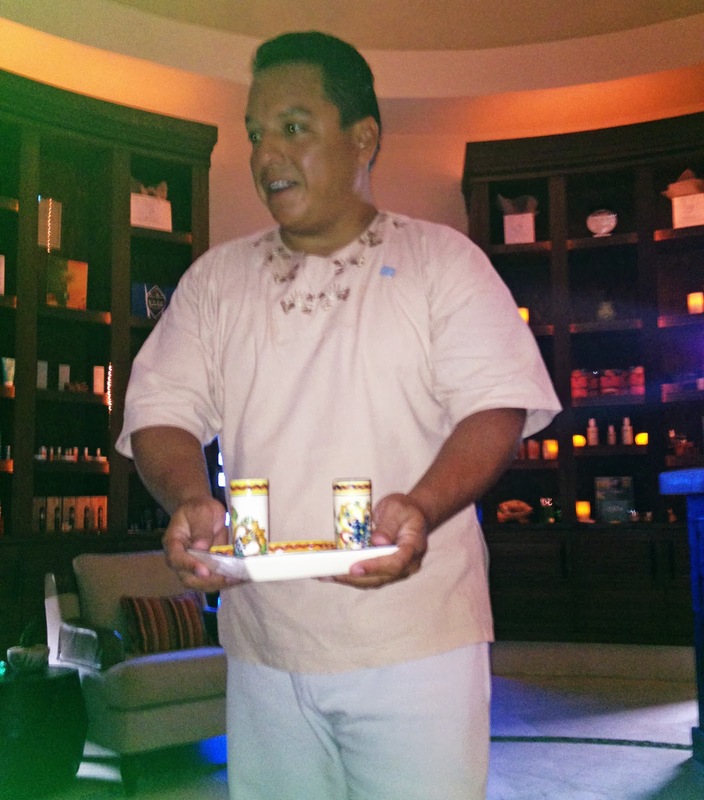 It had been a great first night at Capella Pedregal and I knew there were two more to come.